Raising Jedi | Making the Jump to Cyberspace! Going Viral! I have a confession to make. I, Rebel Mom, am an internet junky. Cat videos, love ‘em. Social media trends, sign me up. I even love me some political rants. Don’t even whisper the words, “unplug,” in my presence. If you do, I swear that I will go straight to my Amazon Prime app. and order myself some earplugs, because I’m not trying to hear it. So, I suppose that I have a second confession. Much of online world remains a mystery to me. For instance, how do things go viral? I mean, where do these things originate? Is there some magic Web God just making it so? If that is the case, he certainly does like the Kardashians. 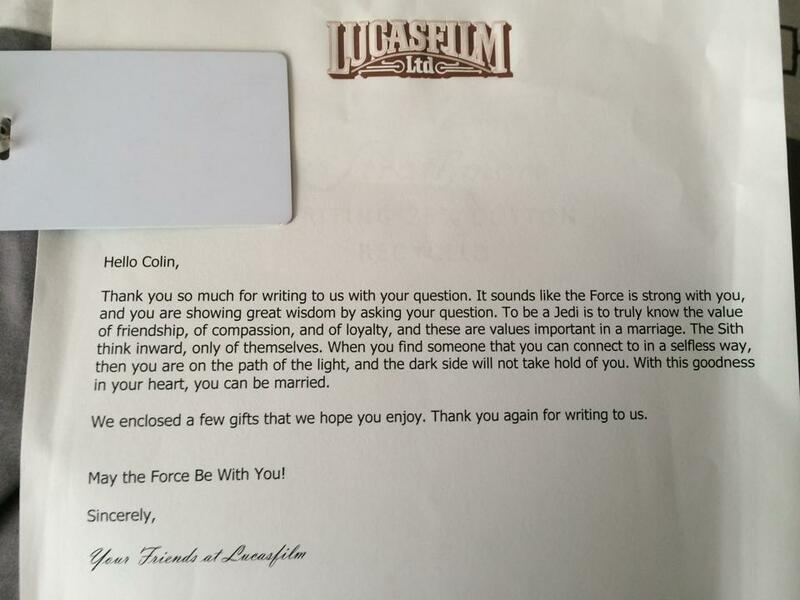 Well, as it turns out, all of these questions got answered for me last April when my son, Colin, caught Star Wars fever…. and his very own virus. 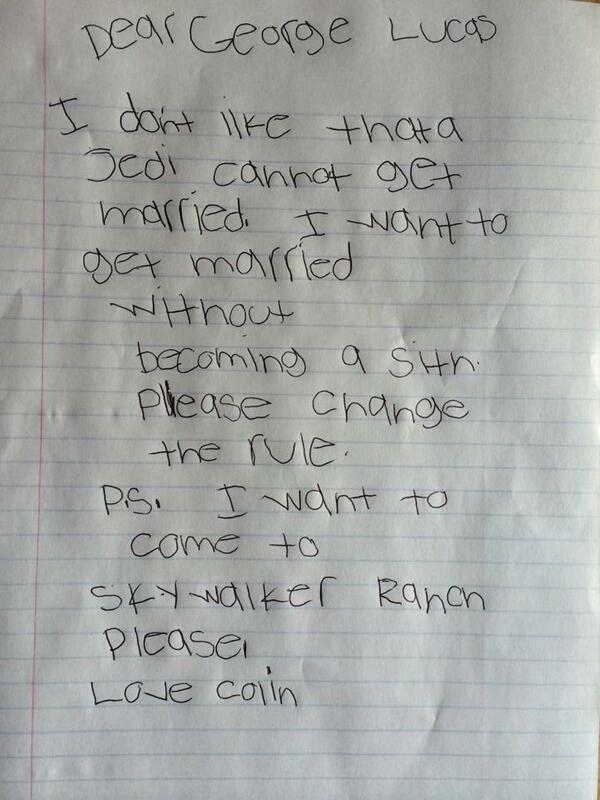 He read the words, “Jedi are forbidden to marry.” This is a huge problem for a 7 year old who has mapped out his entire life. He wanted to spend his days protecting the galaxy, then come home to his wife and younglings. He had midichlorians to pass on, after all! This was his first major life decision and he was struggling. Let me tell you, when a Star Wars fan opens their mailbox and sees a package from LucasFilm, the video camera comes out. This is the result. Months went by without incident. (Ok, maybe there were a few lightsaber injuries during that time, but not much else.) Then one day the phone rings, and it is the head of PR for LucasFilm. What could they possibly want with a slave mom from Tatooine… er… uh… I mean… stay at home mom from the suburbs? It turned out that they still had Colin’s letter. They wanted to talk about it to the New York Times about it and were nice enough to ask if I would be ok with that. (The Times was doing a story on fan mail.) We chatted for a bit and I mentioned that I made a video of Colin and his dad opening the package and I could put it on YouTube for the staff to see. The following day, the New York Times called to interview me and I did my best to pretend that I was doing something more exciting than scrubbing the toilets at the time. The Times article was set to come out on a Friday and on Thursday a friend asked if he could share the story with a few bloggers. In the time between saying yes and the Times coming out, my child’s wish to journey the galaxy was quickly becoming a reality. It all started with this article on GeekDad, but went on to Huffington Post, Time, The Nerdist, Laughing Squid, AV Club, MTV, Inside Edition, and hundreds more. My email was filling up and my house was getting dirtier as I tried to manage the madness. Oh, and just fyi, you CAN still get into Good Housekeeping even if you house is a disaster. Just raise a Jedi. Piece of cake. “I’m beaten down by life, fairly hopelessly, battling away at incorporeal enemies like health, bills, and depression, so much of me detached from the smaller and simpler person I once was. I’ve buried a hundred versions of myself in a graveyard of my mind. I sat there for a moment. When that video created a life of it’s own and took off, I never considered it anything other than my child’s 15 minutes of fame. I got more and more comments like this one and I realized that this meant much more to me than just being our flash in the pan. When Colin was diagnosed with autism, I was afraid that the autism was all the world would see. No one would ever see him as I see him. No one would notice his constant state of wonder and enthusiasm for life, but there it was in black and white. Colin’s autism was not included in the launch of this story. It was all about him, and he was making the world smile. Someone once told me that someday I would Google my name and the results would show, “Mother of Colin,” and it does. I think that if the most noteworthy thing that I ever do is to raise a child who sets his sights on changing the galaxy, then I think that I can call myself wildly successful. Although, the job may never be done. After all, someday there may be grandchildren. Note: Raisingjedi would like to thank a few people on this, our launch day. These people have had a hand in spreading Colin’s story in a charming, clever, and respectful way. All of my friends and family who shared the story with love and enthusiasm. Thank you for staying on the path of light and may the Force be with you! Tagged autism, equality, George Lucas, jedi marriage, LucasFilm, raising Jedi. Bookmark the permalink. Reading this has reminded me what it is all about being a Star Wars fan. It is a good time to be a fan, new movies, people falling in love with Star Wars for their 1st time. The universe is constantly growing. 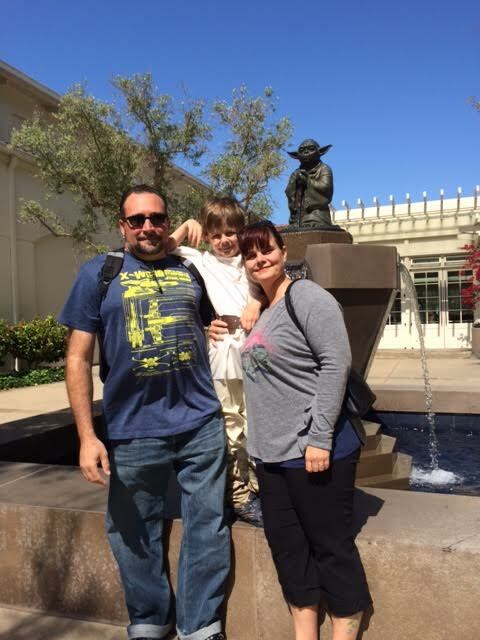 I thank people like George Lucas for bring the Star Wars world to life and I thank this Mom and her family for the wonderful story shared. Wow. I am do loan away by your story. I am from germany and just read plus heard about this for the first time.